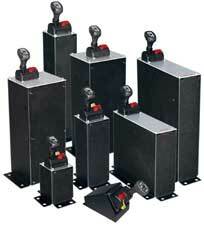 Muncie ASC2 Series consoles for dump truck applications are both functional and attractive. Muncie consoles include all necessary installation hardware, and are available in nine styles. 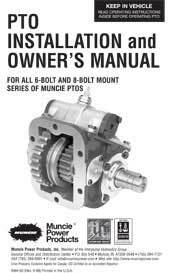 Air valves can be equipped with automatic or manual disengagement of the PTO. 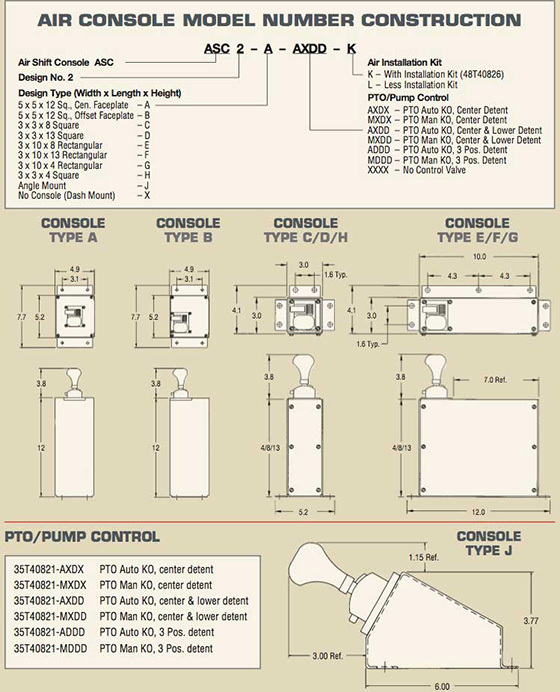 Several models provide room on the console faceplate for additional controls. 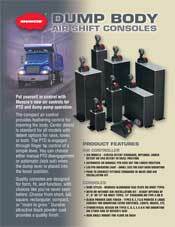 Muncie DPC2 Series consoles offer cable and combination cable/air operation. Our Heavy Duty Cable Shift consoles provide many features for the operator as well as time savings options for the installer.